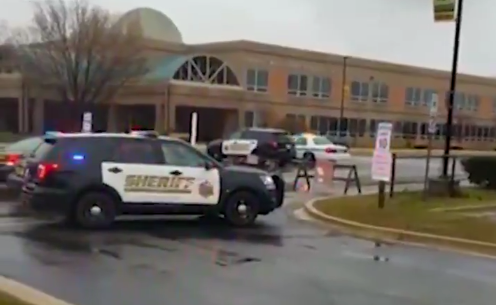 The shooter is dead and two others are injured after a school shooting at Great Mills High School in Great Mills, Maryland on Tuesday. The shooter, a male student, has been confirmed dead after being brought to a local hospital, and two other students, a male and female, are injured – the female student was at one point in critical condition but has now stabilized, officials reported. St. Mary’s County Sheriff Tim Cameron said the school resource officer fired and exchanged shots with the shooter, who was fatally shot.